The 3DS has demonstrated its solid market performance yet again, with the latest Japanese sales tracking figures from Media Create revealing Nintendo’s beloved handheld is selling faster than the Game Boy Advance. After 154 weeks since the system’s original release in Japan, a total of 15 million units have been sold. This figure places the 3DS ahead of the Game Boy Advance which had only sold around 11.64 million in Japan by this point, and significantly behind the DS which had sold around 20.16 million units by its 154th week. Only recently, Nintendo president Satoru Iwata stated the 3DS would be the company’s main profit driver for the next fiscal year as opposed to its big brother, the Wii U, with more major game releases sure to be announced in the coming months. Based on these Japanese sales figures, do you think the 3DS has the ability to keep Nintendo at the top of its game? Sound off in the comments below. Well, they're both good, so no coincidence here. I think the 3DS could come close to that number, especially if Nintendo keeps spoon feeding Japan all the special edition 3DS and 3DS XL's they get. or if they released the 2DS there. I wouldn't be surprised if the 3DS oversold the GBA worldwide within the next couple years, it's doing pretty well. @Yamitora1 - Or they can buy the 3DS and just keep the 3D turned off. 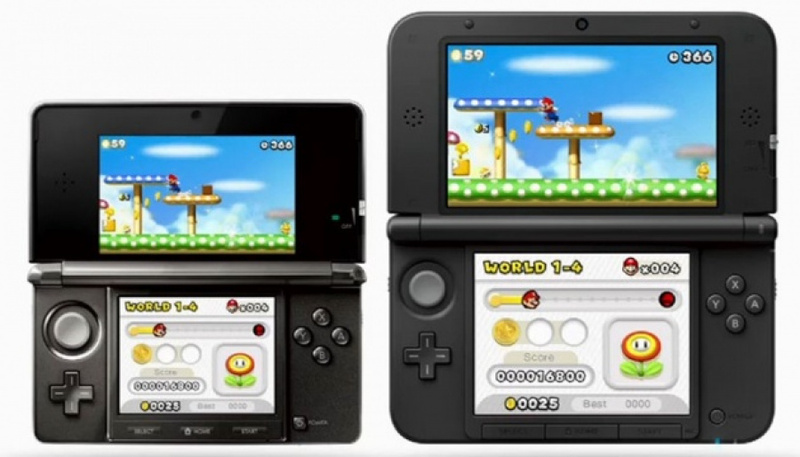 @Yamitora1 Part of 2DS's appeal is also the better design with less cramped controls. That's hard to achieve with a clamshell design if you want to keep the 3DS circle pad. Good for the 3ds. Be nice if the Wii U could do a 64. No pun intended. @Aqueous Why pay the $40 extra dollars for a feature they do not or cannot use. @Mahe I know, I have a 2DS for a number of reasons but people still like options. Plus I forget his name, but a analysis guy in japan said they should have just dropped the 3DS price or made one without the 3D. Am I the only one who finds the clamshell design of the 3DS and 3DS XL more comfortable than the 2DS? I found the 2DS to be very uncomfortable. I feel that the back edges should have been rounded. It would have made the 2DS far more comfortable. I'd like to point out the GBA ultimately sold over 80 million units worldwide, and only had an active lifespan of about 3 1/2 years. Hands down my all time favorite system is the 3DS XL with the Circle Pad Pro attached .. If Nintendo keeps making 3DS XL Limited Editions, it may even outsell the DS. I wonder if we will have a new 3DS XL Lite this year? I have three 3DS's but gave my original flame red to a friend of mine so now I only have two 3DSXL's. Now I'm thinking I want another regulard 3DS to put in my pocket when I out. Don't want to carry around my larger XL's. @Yamitora1 for your $40, $30 is because of the clamshell design and others (e.g., mono speaker, no wireless switch) and $10 is the 3D screen. The DS was followed by the DSlite, which most people would say was an improvement over the "phat", and then the DSi, which was also an improvement w/ internet and cameras, though it did drop backwards compatibility which was a negative. And the XL along the way. The 3DS has had the larger XL and the bit of a downgrade 2DS removing 2D and stereo, but nothing in the way of improvements like the "Lite" or "i". It will be out 3 years next month and in handhelds lifespans it's due for a bit of an overhaul. The "i" came out 4 years after the original so there should be a significant upgrade by 2015. I don't honestly think the 2/3DS family will catch the DS family, too many smartphones and tablets in the world, but it isn't over yet. It hasn't had a price drop in 2 years, so that's due as well. I think a 2/3D U could sell as a 2nd Wii U controller/Gamepad, all Nintendo has to do is ad in that not quite wi-fi chip, though I can't imagine a handheld w/ a disc slot Playing 3DS games thru the Wii U to the tv is the way to go though. @Yamitora1 the 2DS has not been released in Japan. Taking into account the amount of profit made per DS vs a 3DS and the amount that the DS has outsold the 3DS, it's clear that Nintendo is sluggish at best. Nintendo really needs to try more things to get back into the game. I think the overall sales of the GBA (80 M) is the best they can reach, which is clearly good but not to the point of avoid losses. So ok, I'm more concerned on enjoying the games, but I can't help being seriously worried for Nintendo. At least this Nintendo console is doing well. I've supported every one of Nintendo's handhelds and I stand by my belief that the 3DS XL is one of the best consoles out there, ever. The 3DS is doing great I don't see why that would change any time soon. To launch the 3DS XL model was obviously a genius act, and even the 2DS seems like a good idea. I must admit I would never get a 2DS for myself, but it would probably be my first choice if I where to buy a handheld console for a 5-8 year old kid. The 3DS game library is still not very diverse. (And the Virtual Console is limited so it doesn't really fill in the gaps much). @Buduski The games on it are not very diverse when compared to both the GBA and DS. (Even at similar points in their respective releases). Loads are 30fps as well and made super easy to compensate. @kereke12 One good thing about the Sony is the fact that the resolution is double that of the PSP so PSP stuff still works well on it. (Excluding the messing around needed to buy from the Jap PSN store). DS stuff looks awful on the 3DS. 3ds is doing GREAT! but what worries me is that the DS sold 20 million in 154th week... so this means that phones is taking over the market! @Yamitora1 - Well there is a 2DS without a clam shell for that. Likely the difference is in parts there and there are always used systems for cheaper prices. I'd say that has more to do with a lot of casual players moving on, not necessarily Nintendo being sluggish. One of the big reasons the DS sold like it did was games like Brain Age, heck you had teachers recommending that game to parents for their kids. You don't need a dedicated device for such 'games' anymore, any mobile device will do just fine, then you have sites like Lumosity. I doubt we'll ever see a handheld sell like the DS again. @Zombie_Barioth Yes but the gap between sales is huge. If Nintendo cannot captivate markets as it once has it will continue to fade. Nintendo can do it, they can make a handheld that could outsell the DS. They "just" have to be more imaginative and more open minded when it comes to the mobile sector. Imagine this, a kid's first handheld is also their first phone. That could be an entry model phone from Nintendo. For a more advanced model they make a console grade smartphone (entirely possible as a Nexus 5 clocks faster than a Wii U) for the more mature audience. This smartphone should be able to connect to monitors and TV screens and work as a second or main screen. Coupled with Nintendo exclusive apps like say a Nintendo released emulator, virtual console, etc Nintendo can appeal to both audiences and at the same time bring more value out. Of course this is Nintendo we're talking about. Even now with the Wii U they still haven't figured out online play and are an entire generation behind. I don't reasonably hope they will be able to jump to the current generation of mobile technology in just a few years. Oh, I absolutely agree, they can get those kind of sales, just not with dedicated devices anymore. Its not just Nintendo being behind technologically though, they simply won't want to make a separate device. they could easily do a mobile device with a TV out and gamepad compatibility if they wanted, its been done, even the PSP GO does that. No matter what they'd still rather make that content for their existing devices and just try to convince people they need a DS or Wii U for it. Even if its not content people would buy a Nintendo console for they're still convinced thats the right way to do it. In fact I wonder if they actually get the difference between casual games like DDR or Wii Sports and software like Brain Age as far as platforms and consumer interest goes. Love My 3DS XL I waited long enough to get one( PALEEEESE ) it took me over a year to get one after my Dsixl I almost always get thing used but my 3DSXL is still nearly brand new since I got it OCT 13. A bit bemused to hear that it is still lagging behind Japan in sales here in the US but hey ...Such is life. I love the 3dsxl gonna get myself another one with a capture card!